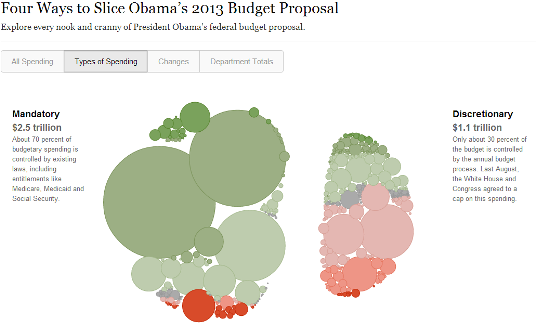 Explore every nook and cranny of President Obama’s federal budget proposal. Chart shows $3.7 trillion authorized to be spent in 2013. (Total spending is estimated to be $3.8 trillion, including funds authorized in other years). Negative budget authority, which results from fees or other collections, is shown only on the department totals tab, but is included in other totals.